CTSS is a flexible package of mental health services for children who require varying therapeutic and rehabilitative levels of intervention. CTSS addresses the conditions of emotional disturbance that impair and interfere with an individual’s ability to function independently. For children with emotional disturbances, rehabilitation means that services are provided to restore the child to a level of functioning that they either had or would have achieved if normal development had not been impaired by a mental health disorder. CTSS services are time-limited interventions that are delivered using various treatment modalities and combinations of services designed to reach measurable treatment outcomes identified in an individual treatment plan (ITP). CTSS services include School Based Skills Training, Office Based Skills Training, In-Home Skills and Therapy, Psychotherapy, and Crisis Services. Reach is an intensive eight week rehabilitative skill based summer program providing therapeutic and fun activities in a group setting. Children are grouped by age and location and guided by Licensed Mental Health Professional and Mental Health Practitioners in activities designed to build needed skills in self-management and interpersonal relationships. Families are kept informed of their child's experience and progress and are involved in some program activities. Transportation to and from the program sites is provided. Children are served one meal as part of the program. Art Intervention uses the creative process of art making to improve and enhance the mental, emotional and physical well-being of individuals of all ages. The creative process involved in artistic self-expression helps people to resolve conflicts and problems, develop interpersonal skills, manage behavior, reduce stress, increase self-esteem and self-awareness, and achieve insight. Children's Mental Health Services is working in close collaboration with all Early Childhood providers throughout Itasca County in meeting the mental health needs of our Birth to Five population. 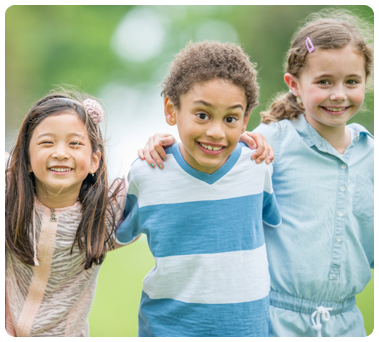 CMHS has seven staff specializing in Early Childhood Mental Health care; including assistance with screening, consultation and access to mental health support for infants, toddlers and preschool children and their families. CMHS staff is uniquely trained in a wide range of treatment services from diagnostic assessments specifically designed for the Birth to Five population. Additionally staff can provide therapeutic support services in school or family home settings as well as our 8 week summer REACH program. The Incredible Years Evidenced Based Treatment curriculum is an integral component in the treatment services CMH can offer. This curriculum is a multi-media program with a 16 week parent training series as well as an 18 week social skills treatment series for children ages 3-8. A Diagnostic Assessment performed by a Licensed Mental Health Professional involves a face-to-face interview, an interview with the family, a review of the results of a questionnaire completed by the child when appropriate and the family. It may also involve an interview with teacher(s) and others who have experience with the child. The information covers a wide range of areas including individual and family history, social and school functioning, behavior and mood patterns, etc. The information is synthesized and compared to symptoms associated with mental illnesses to form a likely diagnosis. Appropriate services and therapies are recommended for treating the illness and symptoms. Recommendations for the family are also included. Psychological Testing is performed by a Licensed Psychologist when, after the diagnostic assessment, there remain questions about the diagnosis and/or about the mental and emotional dimensions of the problem(s). The tests may involve paper-and-pencil instruments, interview questions, or computer tests. Dialectal Behavior Therapy is an evidence-based, structured treatment program for adolescents who struggle with regulating their emotions, interpersonal relations, and self-harmful behaviors. A parent or other caregiver is required to be involved in order to assure the practice of new behaviors in the home. In addition to group therapy each child receives individual and family therapy and 24/7 telephone coaching access to the individual therapist. The program typically runs for 16 weeks. Clients may participate in a graduate group or choose to repeat the program. Regular participation, attendance and practice are required by child and parent to remain in the program. Under strict program rules successful transformation to more positive and healthy behaviors is the usual outcome. Participation is open to those with a therapist's recommendation and a signed behavior contract by child and parent. Individual Therapy provides one-to-one work with the client using evidence based practices to help children process through difficult thoughts, feeling, behaviors, and experiences. Group Therapy uses many of the same techniques as individual therapy in addition to offering an interactive setting in which participants have the opportunity to practice their new skills and receive support and feedback from peers. Family Therapy uses evidence based practices to address the problems present in the family system. Patterns of behavior that family members use to interact with one another, to attempt to solve problems, and manage relationships often produce unintended consequences or results the family members do not want. Play is the natural language of children. We intervene in the play of a child to assist him/her in coping with emotional stress or trauma. In play intervention children are given the opportunity to express themselves through art play, sand play, dramatic play, and fantasy play. By playing with specially selected materials, the child plays out his/her feelings, bringing these hidden emotions to the surface where s/he can face them and cope with them. When children recreate their frustrations or disappointments, the therapist can help change the experience or outcome of a situation. As a result, children build up their strength in dealing with life's challenging situations. (TF-CBT) is an evidence-based treatment approach shown to help children, adolescents, and their caretakers overcome trauma-related difficulties. It is designed to reduce negative emotional and behavioral responses following child sexual abuse and other traumatic events. The treatment—based on learning and cognitive theories—addresses distorted beliefs and attributions related to the abuse and provides a supportive environment in which children are encouraged to talk about their traumatic experience. TF-CBT also helps parents who were not abusive to cope effectively with their own emotional distress and develop skills that support their children. As contracted by the county, Case Management may be recommended for the child and family when the situation is highly complex, when there are multiple problems requiring the involvement of other community resources, and when the family needs outside help in setting up the required services. By interfacing with various community agencies, providers, schools, and family the Case Manager can coordinate and evaluate the best delivery system for the betterment of the child.